Get the Black Friday: The most anticipated shopping event of the year, where deals are found in great abundance and shoppers are all too eager to spend their cash on those items they need to fill their holidays lists. For businesses small and large, Black Friday represents an opportunity to bring in huge profits, but also offers the chance to build your brand and your company image. How can you ensure that you are attracting the most amount of business your way during the biggest shopping day of the year? With the help of SMS marketing. SMS marketing is marketing via text messaging. People who are interested in your offers sign up to receive these special offers. In return you send extra-special offers their way in appreciation for their sign-up. They anticipate the special deals you are going to send their way in the future, and they take advantage of those deals more often than not. By using SMS marketing during the Black Friday sales you can be certain that customers know the deals that you have and line up when the doors open to patronize your business. They want these sales and if your offer is good enough, they are sure to be at the doors bright and early. Not only this, they are likely to spread the word to others about the fantastic deals you provide, whether word of mouth, via social media or emails. Black Friday sales offer extraordinaire deals on many different items. Selected items are priced far below the original price, ensuring the deal of the year is found. But once inside of the store, consumers are highly likely to purchase more than what’s on sale as they try to fill as much of their holiday list as possible. For your business this means more profit coming to the bank account, and we all know that this is a key factor in a successful business. The long list of SMS marketing benefits is sure to impress your business. Take a look at some of those wonderful benefits. SMS marketing reaches the consumer within minutes of time. It is the absolute fastest way to reach a consumer. SMS marketing is more effective than social media and email marketing combined. Around 90% of all Americans have cell phones with text message service and receive these messages almost instantly. Additionally most people say that they prefer to receive coupons, offers and other special deals via their cell phone because it is easier than printing, clipping, etc. Special Offers: The key to success in SMS marketing is sending offers at the right time. Those who have taken the time to sign up on your email list deserve a little something extra than the rest of the world, just to say thank you. You can easily send special offers via text any time that you would like. This includes special offers only for SMS subscribers as well as deals sent at the exact time that you want them to be sent. 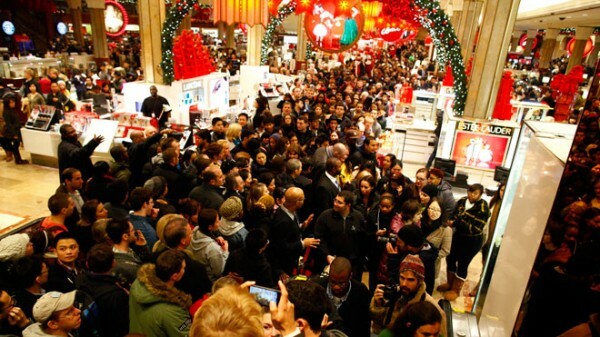 Black Friday is the one day of the year when shoppers all around spend more money of any day during the holiday season. Customers who have received notification of a deal are far more likely to patronize your business, which means SMS marketing can be of the biggest benefit after Thanksgiving. If you want to give your business a boost before the year end, make sure that you are taking advantage of Black Friday via SMS marketing. There isn’t a more beneficial way to get customers inside of your store!